A fake swan and a really engrossing book. Now create your own story. 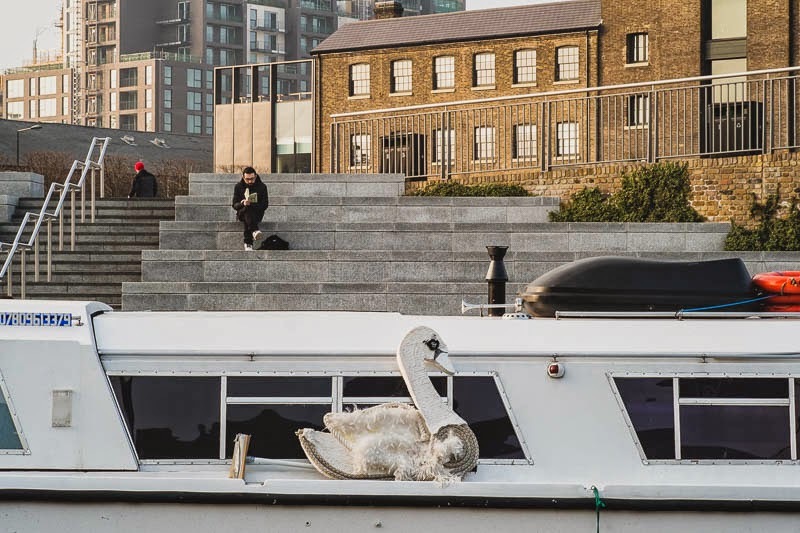 Being a writer with an interest in the espionage genre, I'd end up making the fake swan into a dead drop for a spy network, and the fellow reading isn't actually reading, he's counter-intelligence waiting and watching. I still love as an outsider to the city, you still bring those fresh eyes. Always such quirky finds.